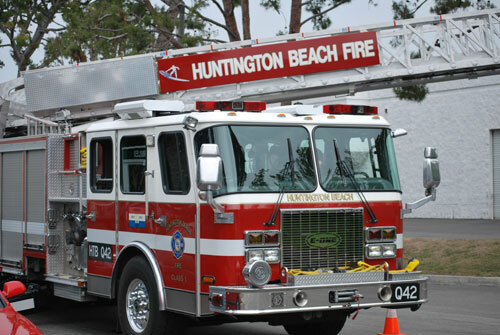 The Huntington Beach fire department lent us a hand in putting up our new flag for flag day 2010! 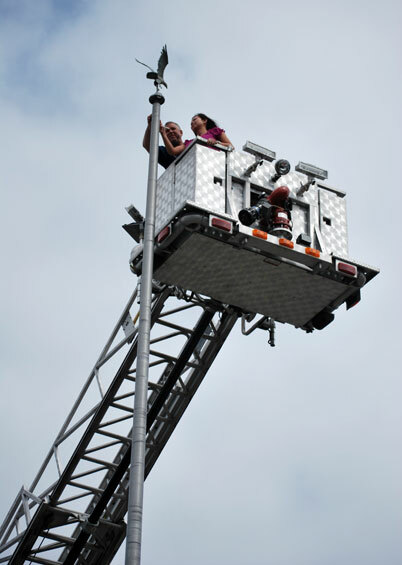 Aileen, our brave volunteer from HR attaches the new flag. 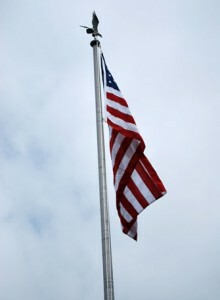 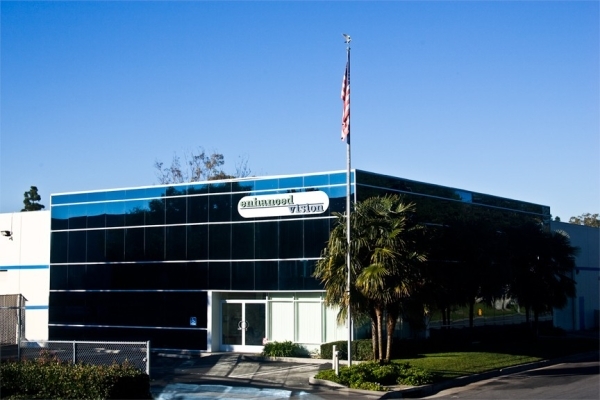 The new flag is proudly displayed in front of the Enhanced Vision headquarters.